If one was to put these pictures side by side, they could find quite a few differences between the photos. With all these fresh faces, people ask who is the most important person to this team. 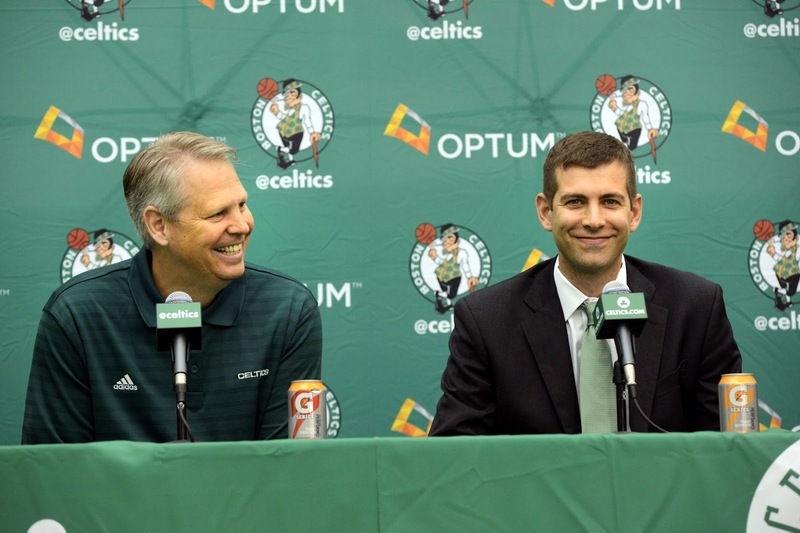 The answer to that question is someone who will not play a minute all year; Brad Stevens. Not only does he have nine new players, but with six rookies he must find a way to teach the NBA game to these players while competing for a Championship. Do I have faith he can do it? Absolutely. Will there be growing pains while the team gels? My answer would be yes. With all of that said, this is the process we wanted. The young talent, and uncertainty that comes with that talent was the consequence of these high draft picks. It won't be 100 percent smooth, but it will be exciting to watch them grow, while playing on a team that has been built to win now. This is a position that not many teams have found themselves in, and while there may be bumps in the road, this team may be on its way to something special. Buckle in Celtics fans, and get ready to see what these new faces can do.